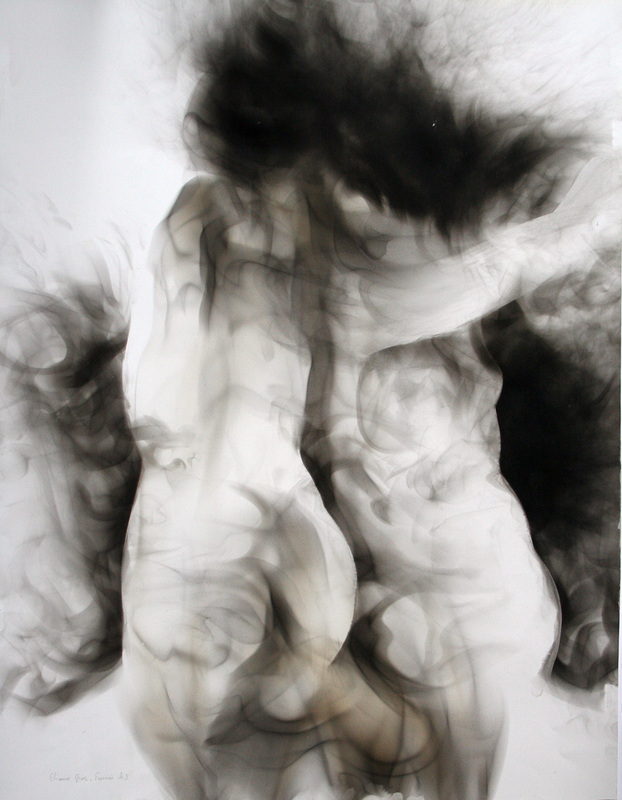 "Fumée TG2," 2010, carbon on paper, 25x30 in. "Fumée F9/a3," 2010, carbon on paper, 12.5x10 in. "Fumée F9/a1," 2010, carbon on paper, 12.5x10 in. 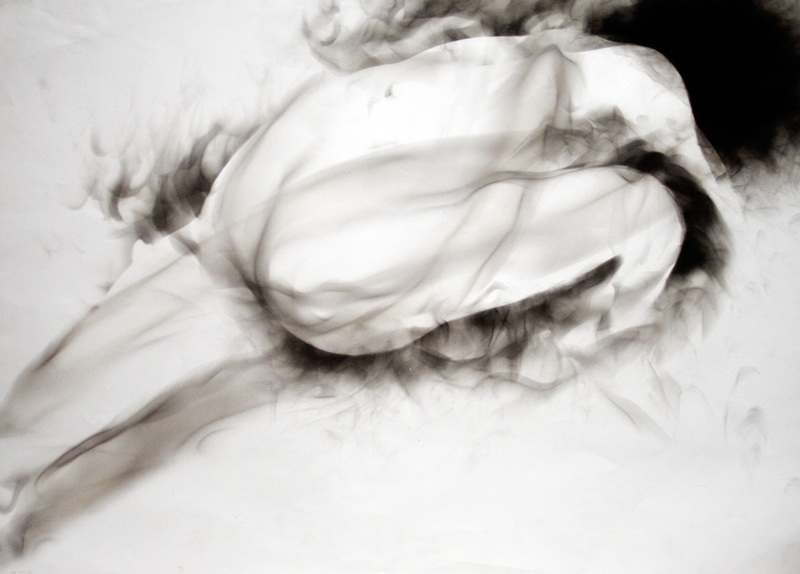 "Fumée H5," 2010, carbon on paper, 10.5x13 in. "Fumée g2," 2010, carbon on paper, 10.5x13 in. "Bout Blanc," 2011, acrylic on canvas, 31.5x40 in. "Haut Blanc," 2011, acrylic on canvas, 31.5x40 in. Born in Saint-Dié des Vosges, Etienne Gros lives and works in Ile de France. His work is primarily the human torso, painted in powerful color and volume, yet vulnerable in its body language. Often anonymous, always expressive, each painting suggests the fascinating facets of creativity of the artist, his paintings of large format accentuating the monumental aspect. Between 1981 and 1986, Gros studied at the Beaux-Arts d’Epinal (Epinal School of Fine Arts) and Beaux-Arts de Versailles (Versailles School of Fine Arts). He is a graduate of the Beaux-Arts de Paris, where he was admitted to the studios of Iscan, Olivier Debré and Vélicovic. He has taken part in numerous exhibitions across France, as well as abroad in Chicago, Belgium, and Holland.